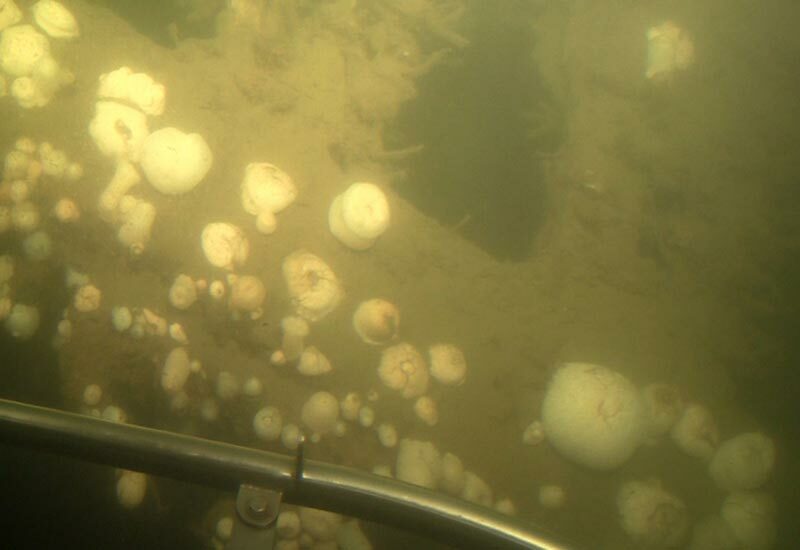 Close up view of cabin windows. 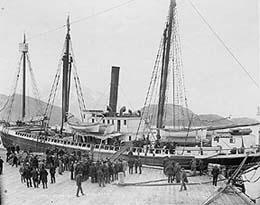 Close up view of the bow. 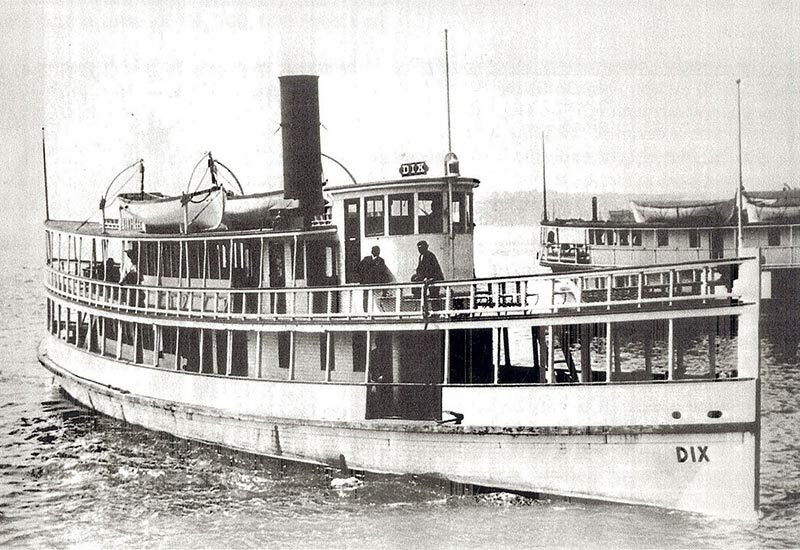 Historical photo of the SS Dix taken along the Seattle waterfront. 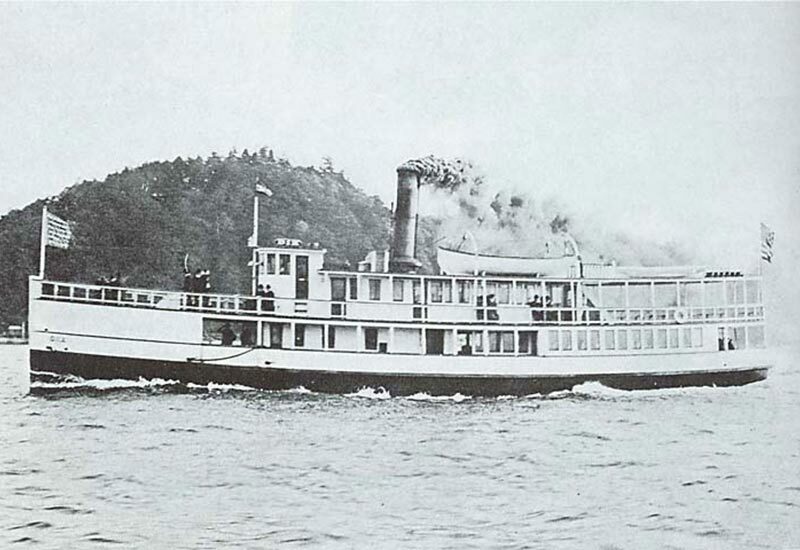 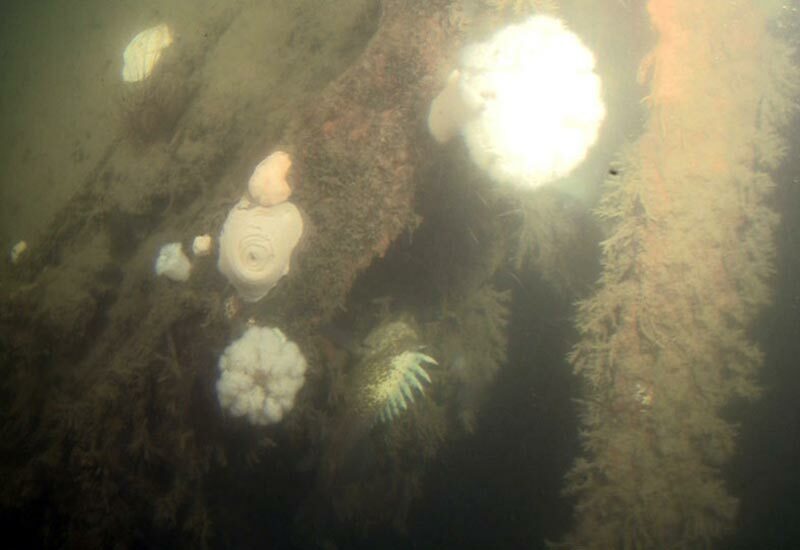 Side view of the SS Dix underway in Puget Sound. 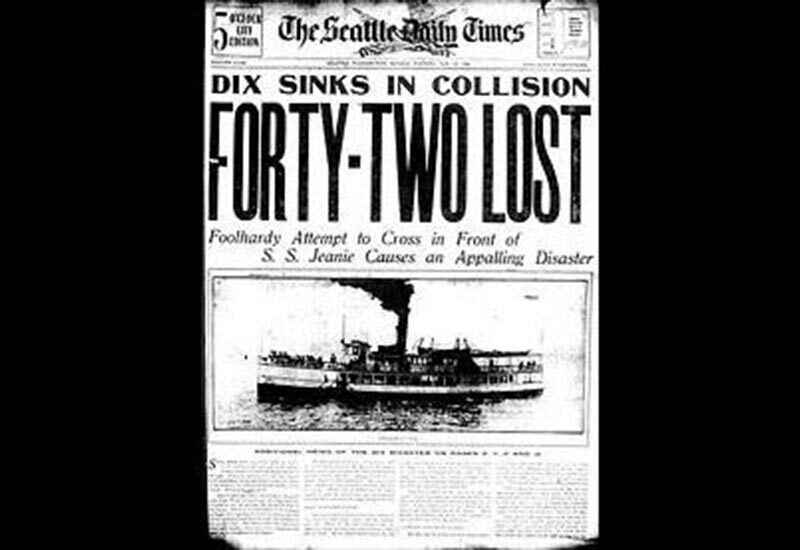 Seattle Times account of the sinking. 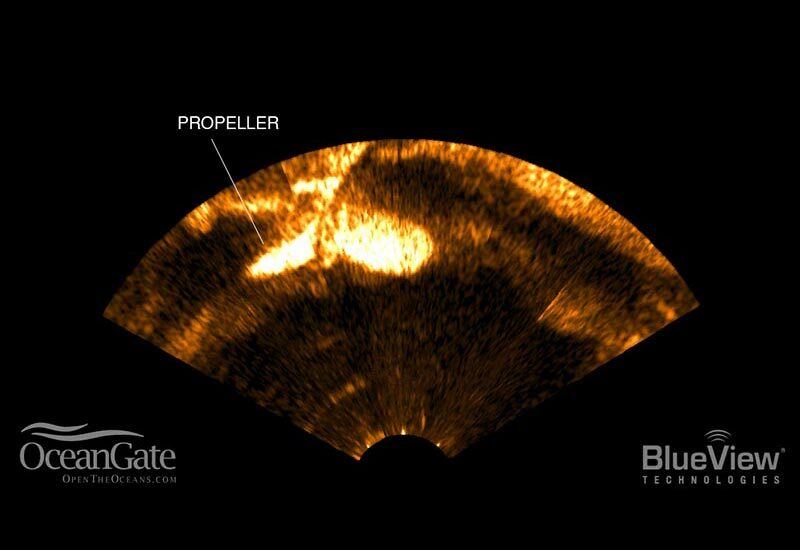 2D sonar view of the ship's propeller. 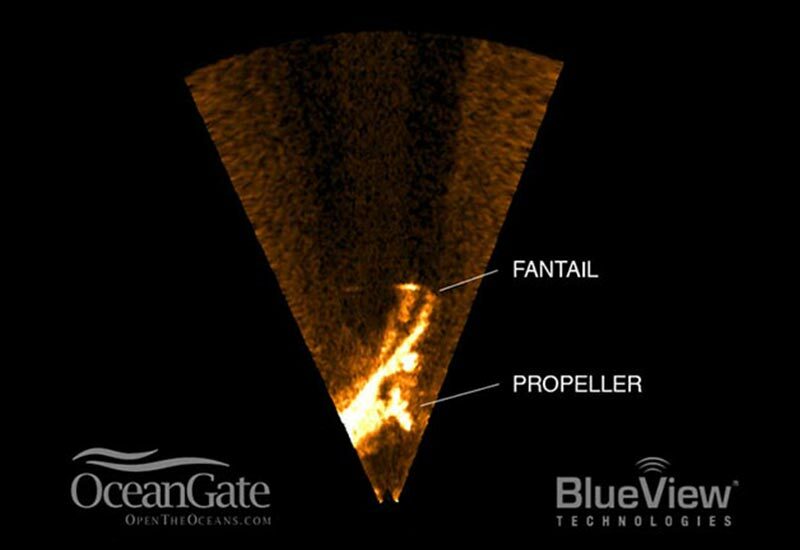 2D sonar of the ship's fantail and propeller. 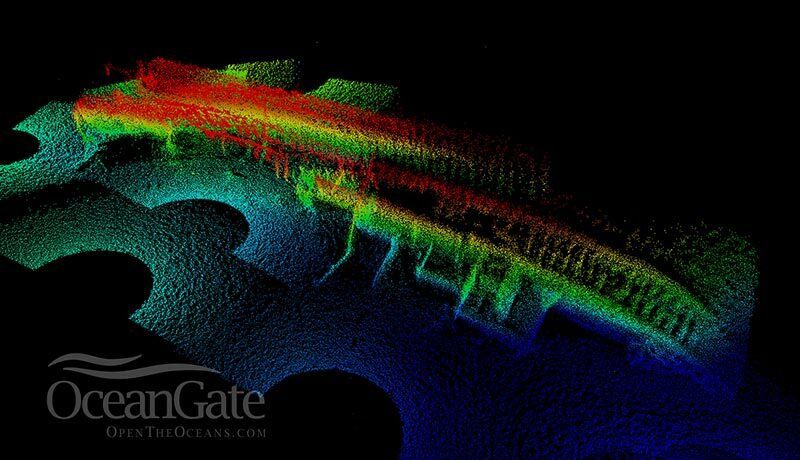 3D model of the shipwreck constructed from 8 sonar scans.